I thought the nominations, announced this morning, were pretty much on-the-money. 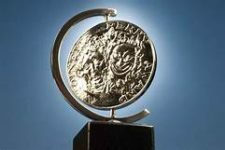 “Spongebob,” co-leading with 12 noms, shows what a relatively weak season it’s been for new musicals. I think the Sponge could go 0 for 12, making it the biggest loser of all time. I’m thrilled for all my friends at “My Fair Lady,” with 10 noms. The only glaring snub I see is that my old pal Jack O’Brien, who directed the 11-nommed “Carousel,” wasn’t nommed for Best Director. Weird! Is The Prez Not Rooting For Viola? Oscar “Glory” For Common & John Legend?